For over 47 years Arrow Sheet Metal has provided high-quality metal fabrication to clients in Toronto and throughout the GTA. 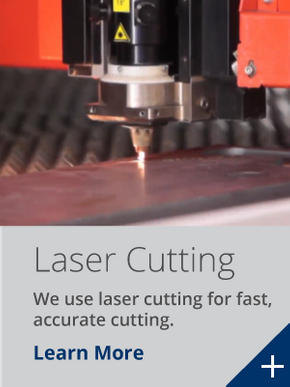 We use state-of-the-art technology for laser cutting, metal punching, robotic welding and sheet metal bending. We are always looking to find ways to improve our processes whether that’s by taking on additional training or by investing in new machinery. Yet despite the great advances that technology brings, we still feel that ours is a people-centred business. We invest a lot of time and money in finding and training the best staff possible. Many of our staff members are cross-trained on various technologies at our 18,000 square foot facility making our workforce not only highly skilled, but highly versatile. We have advanced modern machinery at Arrow Sheet Metal including a Bystronic Fibre Laser, Trumpf CNC Punch, Trumpf CNC Brake Press’s and a Panasonic robotic welder. Give us a call today to discuss your project. Our 18,000 ft² facility also includes many other machines including manual tig and mig welding stations, iron worker, drill press, milling machine, deburring machine, sand blasting, plasma cutting, fork lifts, crane, insertion press for pem nuts, clinching, spot welding, shear and belt sanders. If you need a quote for metal fabrication, give us a call or submit your query with a blueprint for a quick response.